Serious Case Reviews were established to ensure that lessons are learned from the cases of children and young people that will protect and keep children safe in the future. Serious Case Reviews bring together the records of all agencies that have had involvement with the child or family. An overview report is produced which provides a complete picture of events. This report contains analysis of contact with the child and family and decision making, it draws conclusions and makes recommendations. Improve intra and inter agency working and better safeguard the welfare of children. Working Together 2015 provides clear criteria in Chapter 4 about when the LSCB should conduct a Serious Case Review (SCR). NEL LSCB partner agencies should ensure that serious incidents which may meet the criteria for a serious case review, or other type of learning/review, are brought to the attention of the NEL Serious Case Review Sub Group (SCRSG) using this form. This policy advises on periods of publication, preparing to publish Serious Case Reviews, decisions not to publish Serious Case Reviews and removal of SCR reports from the website. For more information please view the LSCB Serious Case Review Report and Publishing policy. To ensure the effectiveness of what is done by each such person or body for that purpose. Audit is a quality assurance process. It provides a means of finding out whether the service is following guidelines and/or applying best practice in a particular area. It is a systematic process that involves defining standards, collecting data and implementing change. Audit is undertaken to ensure that policy/procedure is being followed. It provides evidence of best practice and can demonstrate the quality of our work to external bodies and inspectors. It also allows areas of weakness to be identified and acted upon. The actual process of carrying out an audit can sometimes be as beneficial as the outcomes. It provides staff with the time and space to reflect critically on practice. Where different agencies are involved, there is an opportunity to learn about different roles and responsibilities. It is helpful to have people with a variety of different perspectives within the NEL Quality Assurance group. The group should therefore include staff from different levels/roles or, where appropriate, different agencies. It is best practice for an audit to be led by someone other than the manager for the area under consideration. The NEL Quality Assurance Subgroup will, as part of the Learning and Improvement Framework develop a regular cycle of audits that seek to assure quality in key areas of safeguarding activity across partner organisations. Further, the Quality Assurance and Performance Subgroup will ensure that any learning as a result of audits is incorporated into practice procedures and the NEL SCB training strategy. The implementation of audits is carried out by a core group of professional colleagues from partner agencies who have the necessary skills and experience to carry out audits. The core group may also co-opt additional colleagues who have additional skills relevant to the theme of the audit as required. Commenting upon and approving the scope for each audit to be undertaken. Commenting upon and approving the report for each audit, before submission to the LSCB. Quality assuring the action plans arising from audits to ensure that they are ‘SMART’, and that there is a clear understanding about what actions will be taken forwards, by whom and when. Agreeing whether a re-audit is needed and a reasonable timescale for this re-audit. Reviewing progress against the actions resulting from audits. Maintaining a record of all audits undertaken, the actions arising from these audits and proposed dates for re-audit if applicable. 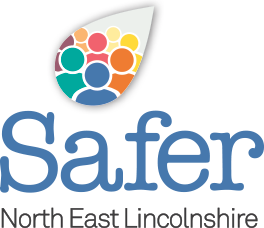 In holding partners and board members to account for providing effective and safe services to children and families in North East Lincolnshire. The LSCB Business Plan priorities and Strategic Objective are reported on through the Performance Report. The LSCB undertake a number of themed interagency practice audits aligned to the LSCB priorities. Inter-agency audits provide a mechanism for ensuring that practice is consistent with LSCB policies and procedures. In addition they provide evidence of what is working well and identifies areas that may need to be further developed or strengthened. The following Learning from Audit reports provide a summary of the audit, what the learning was and what practitioners can do to inform their practice as a result.